Before you jump right in to adopting one of the sample graduation announcements here, or using one as a blue print to make your own, perhaps a word on appropriate content is necessary first. Although style points will certainly count with your particular graduate, it’s what you have to say to them that can leave a more lasting impression. So before you hone your desktop publishing skills to make however many you need with the varying design elements, style, and tone you want, brush up on decorum for this auspicious season in someone’s life. 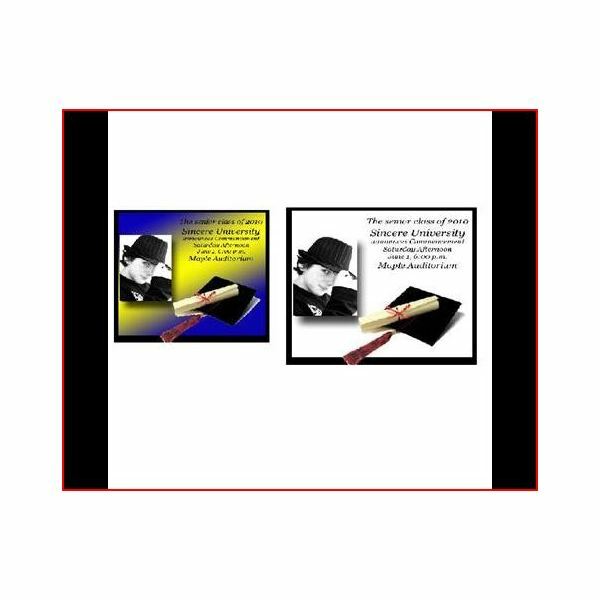 A look at this informative piece, Proper Etiquette for Graduation Announcements and Invitations will explain the finer points starting with what is the difference between the two. Since a graduation announcement is designed merely to announce the event whether it's in the future or already took place, it’s short and to the point. The author recommends beginning with the name of the graduate's parents then including the graduate's details such as the school, program, and any honors they earned. Of course, different circumstances will warrant different language but there is generally a wider audience that will receive these announcements as opposed to graduation invitations that are only sent to the people invited to the ceremony and/or party. Now let’s get right to the samples you’re looking for to accomplish this task. For those graduates about to make that giant leap from high school, we've got some samples in our Bright Hub DTP Drawing, Painting, & Illustration Media Gallery that you can download right onto your computer to work with, customize, or just use as examples. Here’s an example of a fun design for a graduation announcement that follows a popular and desirable trend to use the graduate’s photo on the announcement. From that link in our Media Gallery you can click on a few other samples with this simple design layout that includes the prominently displayed photo, along with the school's name, date, and where exactly the commencement will take place. Keep in mind that there are several samples that have the same photos but demonstrate various color schemes and layouts to choose from. Incidentally, it’s worth noting that our Media Gallery has samples of a full gamut of templates for all sorts of materials like brochures, flyers, and postcards that you can make use of like a tool box for any of your DTP projects. Whether it’s a work related project like making marketing materials or free invitation templates that you need to make in your personal life, we’ve got plenty of great resources at your disposal. Please note that the images of the graduates in these particular announcements here are just for demonstration purposes; you’ll want your own graduate’s shining visage on your announcement, not some random face that will confuse everybody that you send one to. In some instances, it makes sense to combine both the commencement announcement and the invitation to a graduation party. One way to do this would be to use inserts. That way, the people invited to the party would receive both while others on the list that wouldn’t warrant an invitation to the party for a myriad of reasons, would get just the announcement. 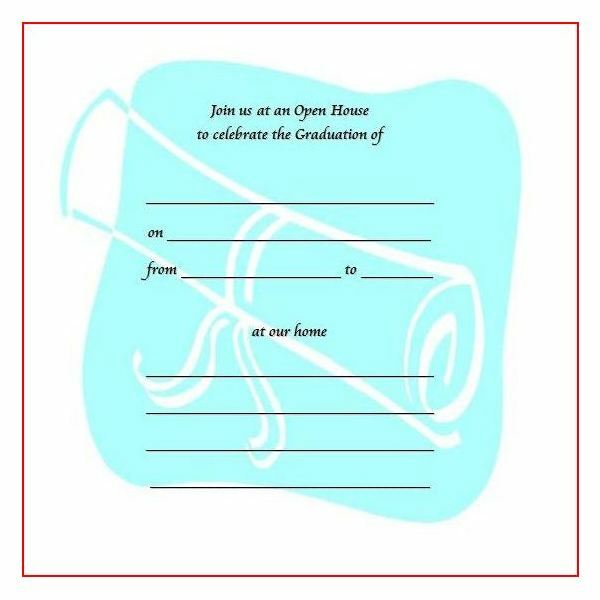 This is a relatively easy process after reading about the instructions to do so in Ideas for Graduation Invitation Inserts. 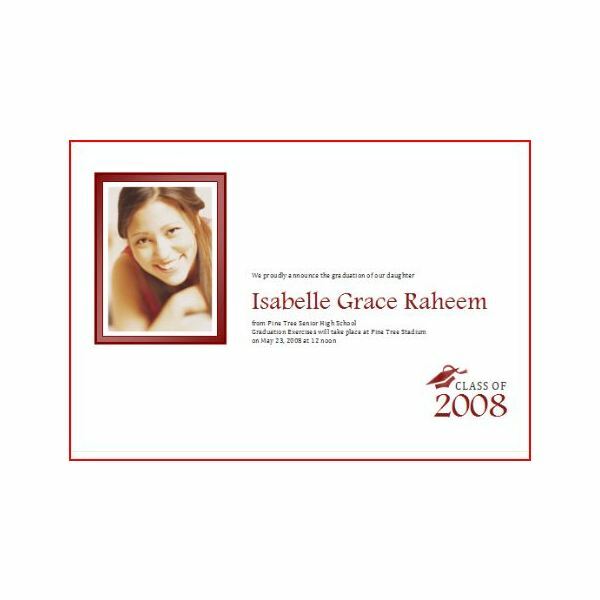 The ideas and templates there can easily be used as your sample graduation announcements to personalize the one that’s right for you. These design elements are rather simple and to the point if that’s your preference. With a lot of the samples we provide here for you, it’s easy to tweak and customize the template to suit your needs. Just because one of the examples or templates we highlight here is specified as an invitation doesn’t mean it can’t be used as an announcement. In fact, despite what we’ve mentioned earlier, some would argue that they’re fundamentally the same thing, especially if you’re not inclined to stand on ceremony. Online. From corny to formal, you’ve got several options. Finally, if you want some more creative layout options and some more stylistic leeway, perhaps taking a gander at Make Your Own Save the Date Announcements would be a worthwhile read for you. But first off, be advised that these methods pertain to creating and designing using the DTP software known as Serif CraftArtist Compact. Obviously, that article is about a slightly different type of project customary for weddings, but the theme is very similar and you can easily get more elaborate in how you want to adopt the techniques mentioned there to give your announcements a great deal of verve. 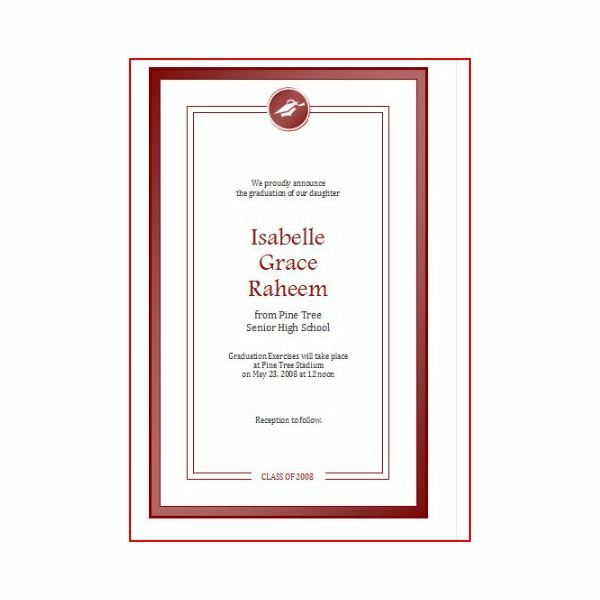 Alright so now that you've got several worthy sample graduation announcements with varying design elements to choose from, you can forge ahead in making your own using these examples to guide you. 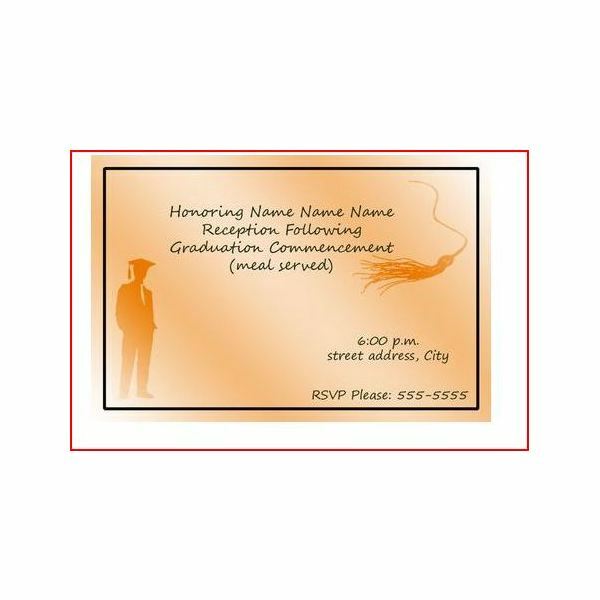 If you’re going to do the announcement/invitation combo thing and you’ve got a humorous hankering, perhaps these funny graduation party invitations verses would be of some use to you. Congrats to your graduate and feel free to stop by for any help you need with any future DTP projects we can assist you with.